Here are 6 important reasons you should select Pocketbook Pups to find your Yorkshire terrier puppies for sale. Health comes first – Many buyers want teacup Yorkie puppies. We are a Yorkie breeder, who raise the tiny darlings with the baby doll faces. We pride ourselves in feeding the very best food and vitamins to our sires and dams. Just remember they come in all shapes and sizes...even within the same litter. As Forest Gump says, “You never know what you’re going to get in a box of chocolates,” and this is so true. As an AKC Yorkie breeder we sell healthy pups that will fit in your pocket to the standard size Yorkie puppy. Nutrition - With that said, we provide excellent nutrition and care for our Yorkshire Terriers. We feed Science Diet for Toy and Small breed and use a blend of the Science Diet Puppy Bites plus Royal Canin Canin Chiot 33 for our puppies that are being weaned. They also get vitamins every day to improve coat luster. It is loaded with omega 3 fatty acids. Socialization - This is my full-time job. As you will see on our website, we are hands on from the first breath the puppies take. We take pictures of the labor, delivery, first nursing session, and each week of life until they are transferred into your loving home. My daughter, Kaleigh, is my partner. She helps me in every aspect of taking care of the Yorkie puppies. Best of all, she is hands-on when it comes to socializing the puppies. This makes all the difference in a puppy that is outgoing, playful, and kissable. It also prevents you from buying a small yapping dog that could end up being a lot of trouble instead of a blessing to your life. Health guarantee - When you purchase a Yorkshire Terrier puppy from us they have been given their first shots and have been de-wormed before they are transitioned to your home. Dr. Arlon Graef is our veterinarian, located in Taylor, Texas. He received the best customer service award, best vet and best groomer from the Chamber of Commerce. He is a graduate of Texas A & M University and outstanding in his evaluation of his patients. You can see pictures of Dr. Graef and his staff on our website and are welcome to call him for references. Puppy Package - When you purchase puppies from us we customize a puppy package for your little angel. They come in all colors and you receive a bed, collar and leash, food, bowls, chew sticks, puppy treats and training pads, toys, vitamins, blanket, shampoo, brush, etc. 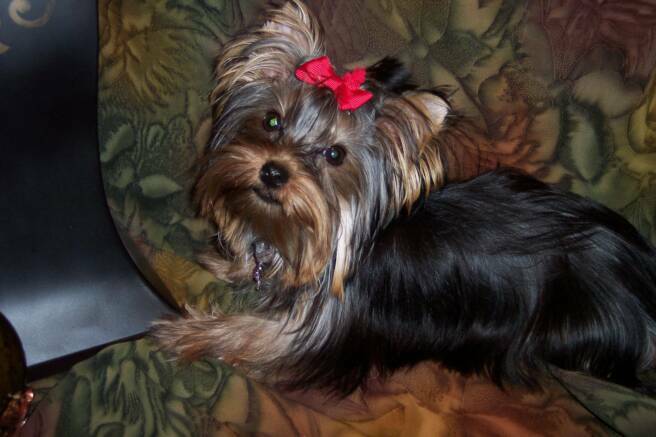 If you select Pocketbook Pups as your Yorkie breeder you will never be handed a puppy and shoved out the door. We want the transition from our home to yours to be as hassle free as possible. We feel we have made friends who happen to adopt our darling little puppies. 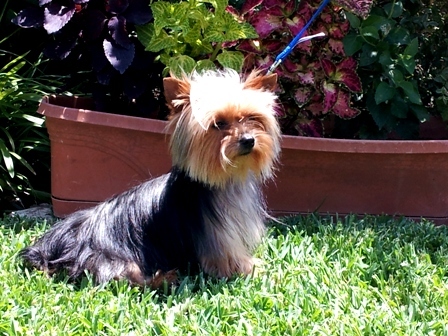 American Kennel Club of America - We only breed AKC Yorkshire Terriers. In my opinion, they are the superior registration club. After registering your new puppy you may choose to receive 60 days of pet health insurance through the Pet Partners Insurance program. The AKC participates in companion rescue and recovery, they donate grants to research disease, and there are a multitude of fun events you can participate in with your pet, such as agility trials. They also send you a new owner’s puppy handbook that is full of valuable information and pet food coupons. 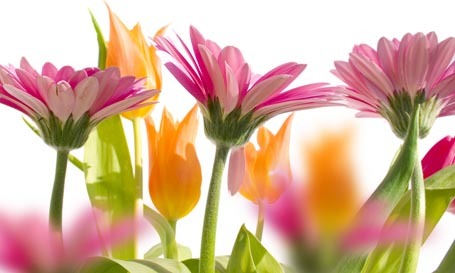 Customer Service - Last but not least…I will treat you the way that I would like to be treated. Pocketbook Pups strive to give our best in terms of our relationship with you. We are only a phone call away! Pics of new puppies in the works! Please call and let me know what you are interested in. Male or Female and what size you are thinking about.